June has been very a busy month full of birthdays, yard work, and trips. As a result, we have unfortunately been unable to post very many pictures. However, we wanted to make a quick post to show how much Ava has grown! 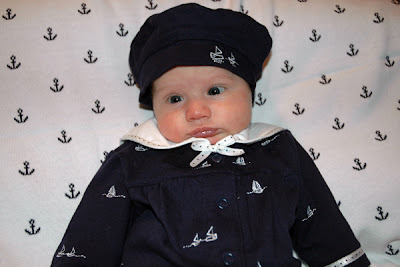 This first picture is Ava in her baby sailor suit when she was around 1 month old. 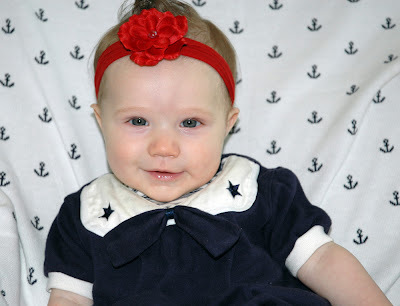 This is Ava in her captain's outfit at five months old! Ava's favorite thing to do is sing (which she does very loudly). 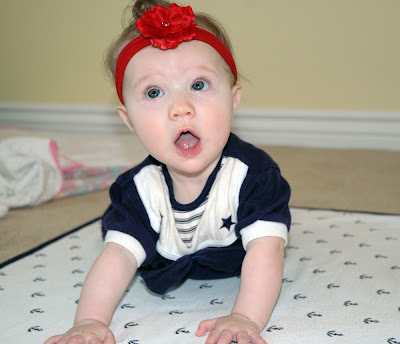 She also loves rolling all over her room while singing. We promise to have many new posts soon to catch you all up on the Furr family! It's crazy to think how much they grow in just a couple months huh!!! She is adorable as usual...and so big. I'm anxious to see more pictures!!! Ava looks adorable! 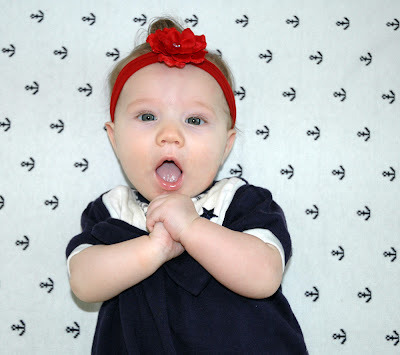 I love her little sailor outfit. It is so cute.